How are Mop Skimmers used for removal of Oil and Grease? Home/Belt Mop Oil Skimmers, Industry News, Rope Mop Oil Skimmers/How are Mop Skimmers used for removal of Oil and Grease? 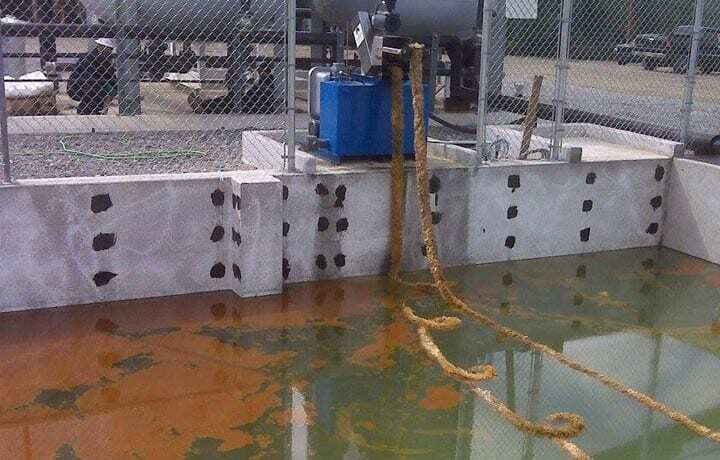 How are Mop Skimmers used for removal of Oil and Grease from scale pits? As with all waste oil recovery systems, in order to follow the regulations from federal, state, and municipal governments, steel mills must limit the amount of lubricants in wastewater released into the environment. Ambar’s mop skimmers are designed to use the difference in relative density and surface tension between waste oils and water, allowing the oil sorbent materials to attract lubricants as the skimmer passes through the surface of the water. A solitary loop of oil sorbent “mop” descends from the mechanism and traverses the surface of the polluted area. 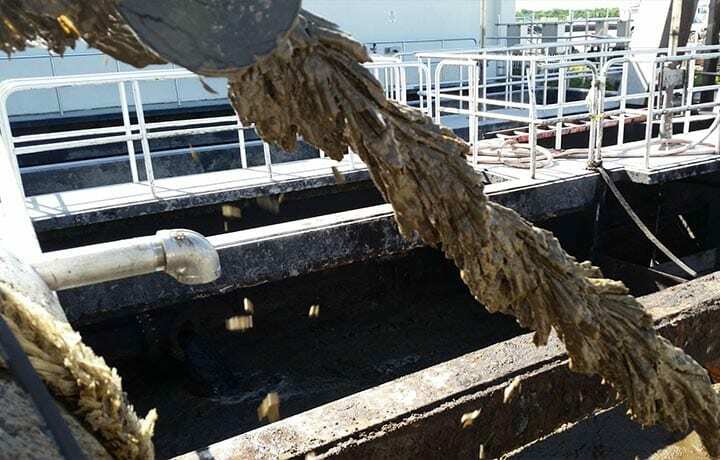 It is drawn back into the mechanism where the oil is recovered from the mop, and the water is either recirculated through the system or released out into the environment. These mop skimmers are designed to function unattended, with reliability, and requiring little maintenance. Waste oils are an unavoidable off-shoot of the manufacturing process, necessitating the use of mop skimmers. Ambar’s skimmer products are the outcome of research, development, field-testing, and clarification. However, as simplistic as it is in design, it is the refined floating oil skimmer technology that is still in existence to protect our environment. Ambar has numerous models of skimmers to meet your industrial facility’s specific needs. Rates of waste oil recovery vary among different skimmers from one gallon per hour to 8000 gallons per hour. Waste oil is a contaminant, and it becomes toxic waste when it is not properly processed. It is also required to remove these contaminants in order for the industrial machinery to operate with efficiency and reliability. Recovered waste oils can be sold in the marketplace and refined for reuse in other applications, which offsets the cost of doing business. It is a well-rounded cost saving method: the cost of treating waste water is reduced because it reduces the need to use expensive chemicals; the lifespan of process fluids is increased through the perpetual removal of oil from the waste water resulting in a decrease in the cost of maintenance, as well as lower water bills and reduced costs for disposal. With over 40 years of experience in the oil skimming industry, AMBAR’s highly qualified specialists can advise your facility management team how our waste oil recovery systems can be adapted to your specific requirements, as well as the best use of our waste oil recovery systems. To learn more about how our waste oil recovery systems can best serve your facility or to request a quote, please email us at info@ambarenvironmental.com. You can call our sales specialists locally at (504) 328-9877 or (504) 328-9874. Call us toll free at (866) 462-6227. We are located at 1030 Victory Drive, Westwego, Louisiana, 70094. Let your waste oils become our dilemma because we have the solutions!